As May winds down, the Skeena is in full bloom. Although the outlook for returning Skeena Sockeye and Chinook salmon is not great, there is still much to be thankful for. The Oil Tanker Moratorium Act is moving it’s way through Parliament, that will permanently protect the North Coast from the threat of crude oil spills. The invisible migration is underway, and responsible development opportunities continue to emerge in the northwest. This summer is going to be a busy one, and we look forward to seeing you at all the stellar events to come! Let’s Celebrate the Invisible Migration! 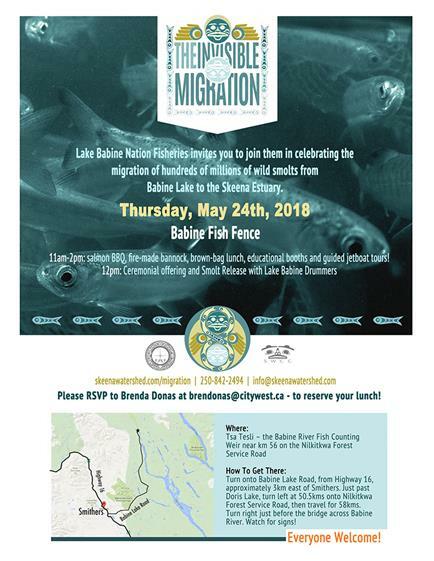 This Thursday, May 24th, Lake Babine Nation will be celebrating the Invisible Migration as hundreds of millions of wild smolts begin their joinery from Babine Lake to the Skeena Estuary. 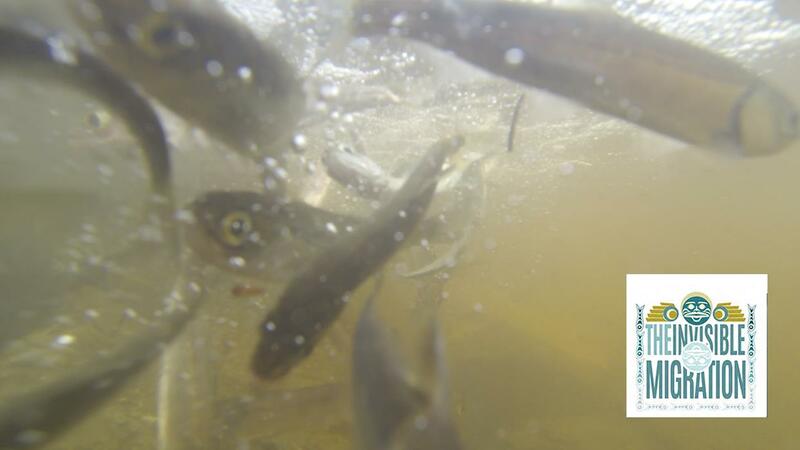 Your invited to take part in the celebration at the Babine Lake Fish Fence from 11AM-2PM on Thursday where you can even release your own baby salmon down the river! See you there! 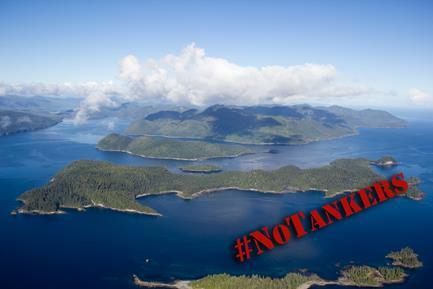 Show Your Support for the Oil Tanker Moratorium Act! The federal government is working to pass legislation that will permanently protect the North and Central Coast of B.C. from crude oil supertankers and the risk of a catastrophic oil spill on our coast. Bill C-48 is long over due and falls inline with the Coastal First Nations current ban on oil tanker shipments through their traditional waters. Although Bill C-48 passed third reading this month, it still needs to be ratified by the Senate and we need to reaffirm our support for this crucial legislation. Tell the feds you support Bill C-48 in upholding the values of all British Columbians for an oil free coast by signing the Parliamentary Petition! Responsible Development in the Skeena. What does responsible development look like in the Skeena? There are a lot of economic projects going on in the northwest, everything from mining and forestry to local agriculture co-ops and new online start ups. All contribute to the economic vitality of our communities, but they need to be done right by maximizing their economic impact and minimizing their environmental footprint. Over the next few months we’ll be featuring several of these project that are striking the balance and putting people to work in our communities. Our Executive Director Greg Knox has laid out our vision as to how we can work together to develop better projects and support the good work already underway. Listen to Greg as he explains our approach to supporting responsible developments in the Skeena Region and what comes next. Executive Director Greg Knox gives an update on the Chinook fisheries closure on the Skeena this season. Listen to Greg explain some of the reasons for the closure and what may be impacting Skeena Chinook. Uprivers Film Screenings Across the Northwest. 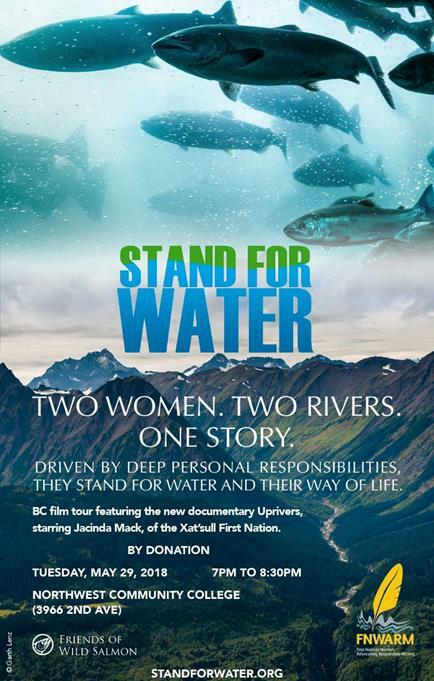 Please join Friends of Wild Salmon, Salmon Beyond Boarders and First Nations Women Advocating Responsible Mining at Northwest Community College in Smithers May 29th, The Meeting Place in Hazelton May 30th, and The Elephants Ear Bistro May 31st, from 7pm to 8:30pm for the film screening of UpRivers and a presentation by FNWARM Coordinator Jacinda Mack. UpRivers is a documentary about two watersheds and the communities that depend on them in the face of a mining boom presently underway in British Columbia. It is the story of two rivers; a wild river that has been deeply wounded, and another river, as yet untouched, but at risk of the same fate. These two stories are woven together with threads of salmon, community, watershed, tradition and resistance against degradation and disunity. Jacinda Mack, from the Xat’sull and Nuxalk nations, was impacted by the Mount Polley mine disaster and will be touring with this 30-minutes documentary and sharing her story. Check Out the Skeena Knowledge Trust! Looking for information on the Skeena watershed? Well the Skeena Knowledge Trust has you covered. The Skeena Knowledge Trust is launching its Skeena Salmon Data Centre, a tool for cataloguing, preserving and sharing information about the Skeena watershed and its salmon habitats. The trust is a move toward more informed decision-making about Skeena salmon and this tool is available for anyone! Follow the SKT Facebook page!